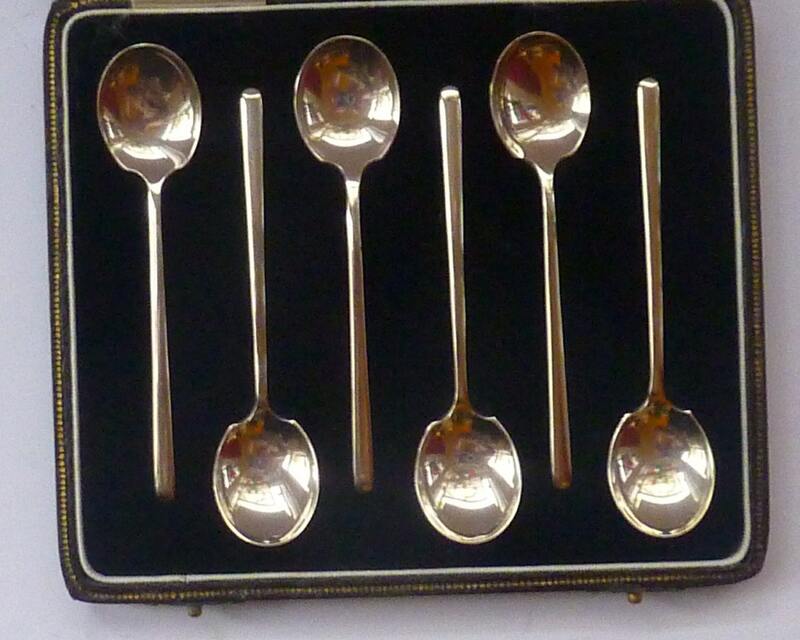 This is a lovely little vintage set of hallmarked silver coffee spoons. 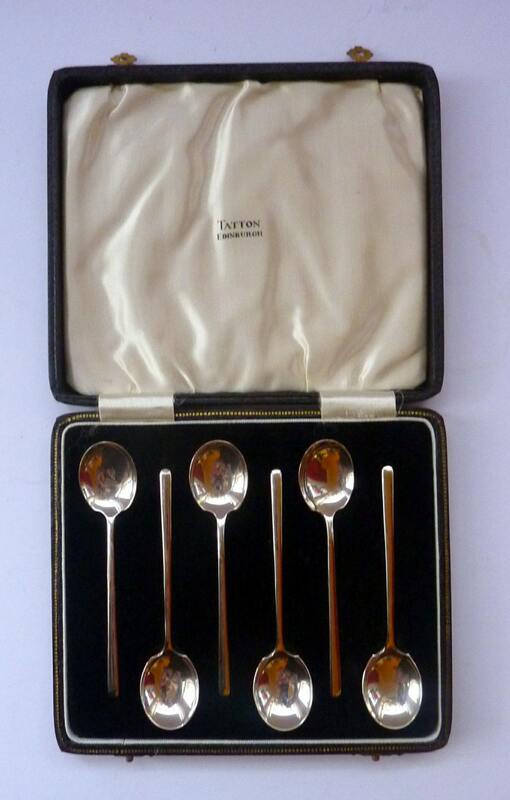 They are all in excellent condition - and are a fine set of tiny little Art Deco minimalistic coffee spoons - great for popping on the side of little expresso saucers after dinner - or perhaps for eating little delicate morsels such as sorbets at formal dinner parties. The design is very subtle and understated with round bowls with teeny weeny wings where they meet the handle. The handle is straight with a rounded end. They come in their original retail box (as photographed). The box has a nice clean black velvet base - and a ivory coloured silk lid - this is marked with the name of the retailer: TATTON, Edinburgh. The interior is perfectly clean and in excellent condition. The exterior of the box is hard - finished with a black leatherette or leather material with subtle edging of gold and pretty little gold coloured snap clasps to keep the box firmly closed when not in use. 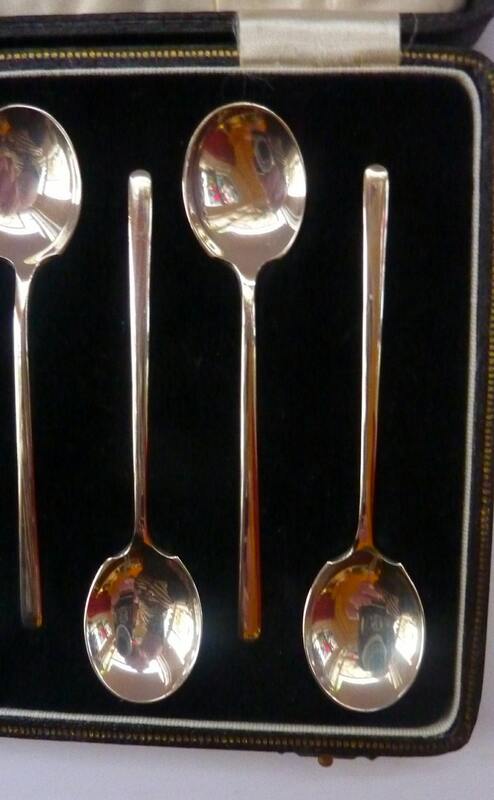 A really lovely little quality genuine Deco set of spoons. 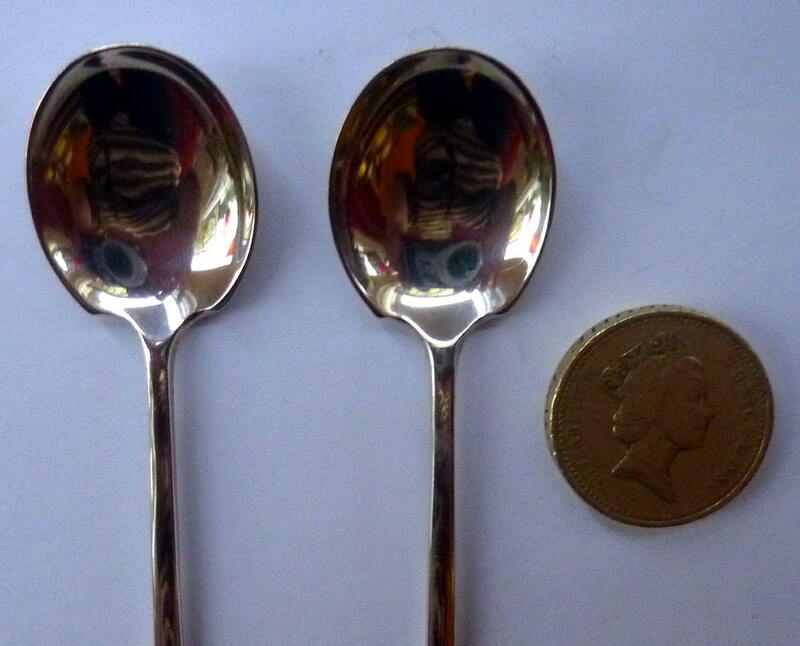 Each spoons is 9 cm (3 1/2 inches in length).